Happy Birthday to Los Angeles Dodger Great, Tommy Lasorda. He celebrated his 90th birthday on the same day as the Dodgers win their NL West divisional title for the fifth strait year. Congratulations to both Tommy and the Dodgers. 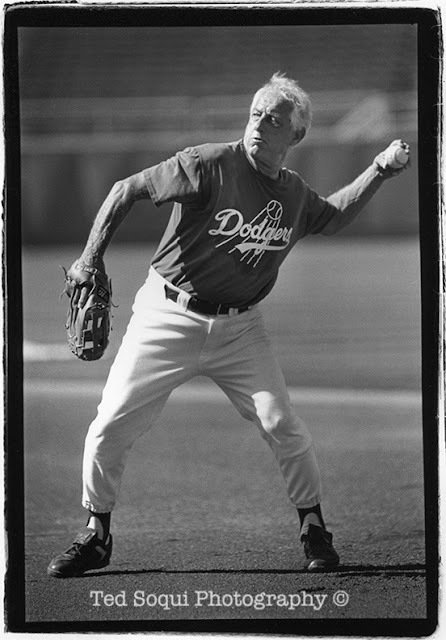 Took this image of Tommy during practice at Dodger stadium back in 1994. He definitely had some good speed on those pitches.